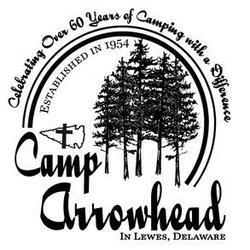 ​Camp Arrowhead is located on the shore of the Rehoboth Bay in Lewes, Delaware. We are a co-ed residential summer camp serving students entering grades 2-11, a Day Camp program for local children entering grades 2-5, and a Retreat Center from mid-August to June. Camp Arrowhead is an essential ministry of the Episcopal Church in Delaware.